A really great toner serves multiple purposes: it shrinks the appearance of pores, cleanses the skin of any leftover makeup or debris, hydrates, helps with oily skin, and protects. They were originally formulated to restore pH balance after soaps and harsh cleansers stripped natural oils. 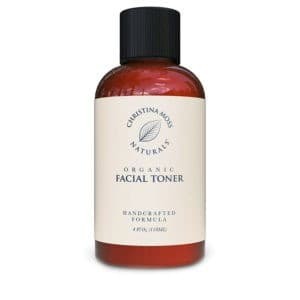 But today, the best natural face toner serves all those functions with healthy ingredients that nourish your skin. Finding a natural or organic skin toner means avoiding the wrong ingredients. Toners made with “bad” alcohol (benzyl alcohol, ethanol/ethyl alcohol, denatured alcohol, isopropyl alcohol and SD alcohol) dry out the skin. It’s particularly disruptive for people with oily skin because removing with alcohol breaks down the skin barrier and contributes to breakouts, susceptibility to damage, as well as the visible signs of aging. On the other hand, fatty alcohols such as cetyl and stearyl alcohol actually have emollient (moisturizing) properties, so are beneficial for the skin. Petroleum-derived ingredients are common in toners. They block the pores and don’t allow them to breath naturally. Although they may make your skin feel hydrated, the barrier they create over your pores is unhealthy. When you’re checking the list of ingredients, you should also avoid: fragrances, glycerin, and sodium laureth sulfate. For a toner to fulfill its role as a cleanser, hydrator, and protector, you need the right ingredients. Below you’ll find a list of the best natural toners – all of which contain antioxidants, vitamins, and cleansing ingredients with none of the additives. After cleansing and before moisturizing, pick from these top 11 best natural toners and re-balance your skin no matter what your skin type. The entire French Girl Collection is handcrafted in small batches Seattle using 80-100% organic ingredients and are 100% plant derived and also 100% vegan. In fact, the creator of the brand travels to the French province of Languedoc every year to re-inspire her love for herbs, flowers, and botanicals. The result of that inspiration? 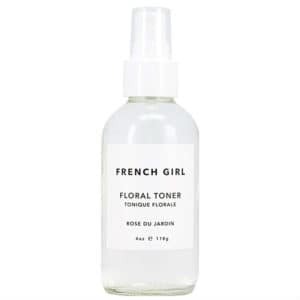 This rose de jardin floral toner that’s light and feathery with slight hints of orange blossom. And for washing away impurities and clarifying your complexion, the formula is blended with sea mineral extracts. A potent cleansing agent that’s good for all skin types but especially good for breakout-prone skin. Anti-bacterial and anti-septic herbs soothe inflammation and also purify pores of dirt, oil, and debris leftover from makeup or sunscreen. 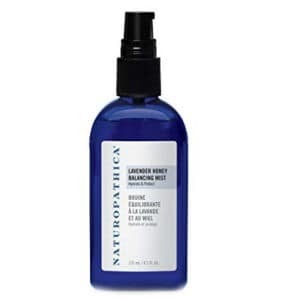 And to restore balance and moisture while cleansing the skin surface, this natural toner has both hydrating hyaluronic acid and a special form of algae that prevents dryness. 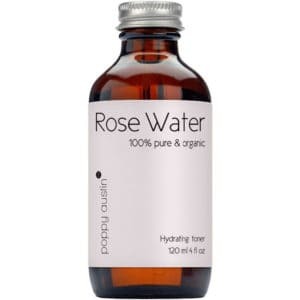 All things rose gold are in right now and this natural toner gets more than just that right. Handcrafted in small batches to ensure the highest quality, it contains a blend of hibiscus flower petals and Bulgarian rose that soften your skin tone and penetrate your skin barrier for ultra-hydration. 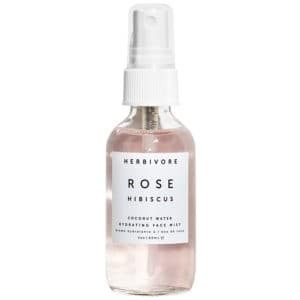 If your skin is prone to breakouts, Herbivore Botanicals Natural Balancing Toner ($26), rich in antioxidants blends jasmine and green tea. Willow bark, aloe vera, and witch hazel, are all acne-fighting ingredients found in the formula that help reduce oil and balance the pH of acne-prone skin. Follow this toner up with your favorite face oil for the perfect restoring nighttime skin care routine. 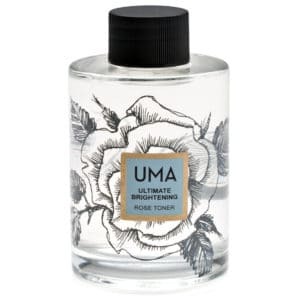 Uma expertly merges the clearing properties of papaya with the pH balancing properties of watermelon and tomato to create a toner that targets blemishes as well as pigmentation, skin texture, and fine lines. You’ll also find some of the most precious essential oils in this toner, including sandalwood, rose, and frankincense. Specifically formulated to target the visible signs of aging in mature skin, this organic toner adds yet another benefit to using a toner: tightening, firming, and restoring skin elasticity with the miracle that is neroli oil and a retinol alternative complex. While it works that magic, coconut milk moisturizes, carrot delivers vitamin A, and swiss green apple boosts your body’s ability to heal. 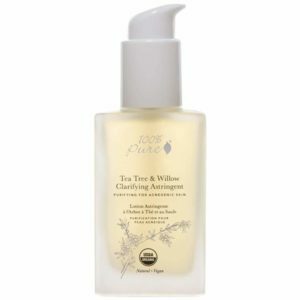 Alternatively, for a brighter complexion, try the Eminence Wild Plum Toner ($30) for normal to dry skin. 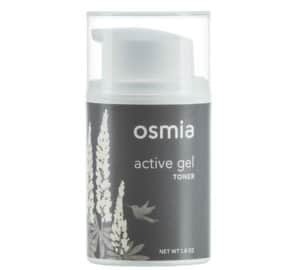 It contains salicylic acid – a natural exfoliant that encourages the growth of new skins cells. 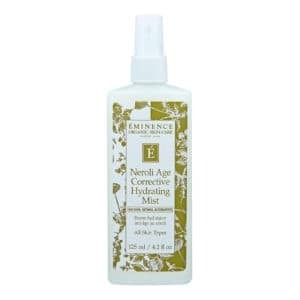 Eminence also offers the Stone Crop Juice Toner ($30), which gives you all the exfoliating power of the wild plum toner but with the added benefit of improved hydration and skin tone. For an aromatherapeutic treat, this balancing mist and natural toner is infused with Lavender Angustifolia Flower Water and Lavadin Flower Oil which calm and soothe the skin and the mind. In addition to the fresh herbal scent and healing properties of those extracts, the toner harvests the antioxidant and mildly antiseptic properties of honey. It will restore pH, tranquility, and complexion. The astringent features of aspen bark are united with the skin clarifying properties of neroli oil to restore the well being of your skin, minimize pores and blemishes, and restore your luminosity. Rose water makes balances the appearance of oil for a dewy finish and it’s safe and effective on normal to sensitive skin. 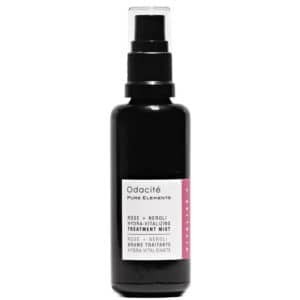 If you suffer from dry skin – and that’s what’s kept you from using a toner –Odacite’s Aloe + Immortelle Hydra-Repair Treatment Mist ($39) formula contain hyaluronic acid to potent your skin’s natural moisture barrier and lock in hydration provided by aloe vera and other repairing ingredients. For something a little different, this gel toner can be applied the same as a regular toner but comes in a texture that’s unique to natural toners. With a bit more thickness than a regular toner but without being tacky or heavy, it’s formulated with rich and exotic ingredients such as rose of Jericho, white tea, an oat beta glucan. These enhanced botanicals are moisture-boosting and also work to improve the texture of your skin. Made with a high concentration of the natural exfoliant willow bark, the MUN calming toner balances it’s cleansing properties with naturally soothing and calming flower extracts like rose, jasmine, and daisy. Tested for a perfect pH range of 4.5-5, it’s effective for preparing all skin types to receive the nutrients of your face serum or moisturizer. Christina Moss Naturals is a small family business that’s ben producing high quality natural skincare products for over a decade. This clean-skincare brand brings you a toner that’s as pure as all their other skin nourishing products. The second step in this comprehensive cleansing collection, the natural toner has a highly-concentrated formula that’s crafted with a skin-cell protecting coenzyme Q10, aloe vera, green tea, and edelweiss. Poppy Austin knows you’re going to love their handmade and responsibly-sourced organic toner – that’s why they offer a money back guarantee in the rare case you don’t see results in a just a few weeks. This Moroccan toner lifts excess oil from your skin’s surface, reduces inflammation like redness, and also minimize your pores. But this organic product is multi-functional – it can be used as a cleanser and a shampoo as well. And because of the gentle and naturally-derived ingredients, it’s completely safe for use on rosacea, eczema, and psoriasis. Sometimes, a lot of ingredients is a good thing. Such is the case with this facial tonic that’s packed with 30 natural ingredients that condition, brighten, exfoliate and hydrate. 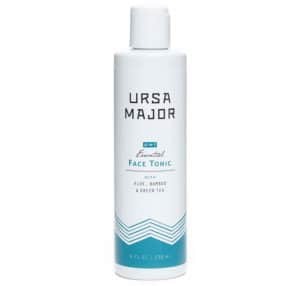 Created for men and women with all skin types, Ursa Major’s advanced and expert formulations harness the capacities of items like sugarcane, birch sap, willow bark, and super gentle aloe. Don’t skip a toner because the last one you tried dried out your skin. Those alcohol-based formulas are a thing of the past. 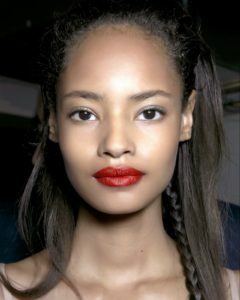 Make room for one of the best natural face toners and look forward to clearer, brighter, and more hydrated complexion. Avoid fragrances and glycerin’s in your natural toner and look for star-ingredients such as rose, aloe, willow bark, and coconut.